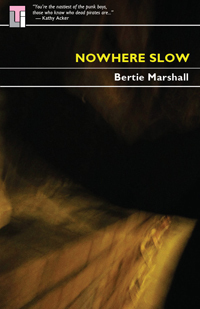 Collected writings contain, poems, plays, novels, chapbooks, memoirs and non-fiction pieces by Bertie Marshall, Punk Legend, Performer and writer. Some of the work here is published for the first time; included is a reprint of his 1997 debut novel Psychoboys. Facebook can sometimes be like Pandora’s Box. After an absence of sixteen years, out of touch, lost in space and time, my friend and muse Pete Clark sent me a friend request. I, in London, he in Toledo, Ohio. I wailed at the screen, the café fell silent . His timing was impeccable, his was the face I needed to see at that time. I was recovering from a bout of very bad health. I started writing in notebooks at the end of my teenage years, Poems, monologues, short stories, mad rants about mad boys, bits of which ended up in a memoir I published a few years back. I write and write, but only seem to get published once a decade. So my problem was publishers. The lid to Pandora’s box opened again and Simon Strong, who had published PSYCHOBOYS, my debut novel, (just before my thirty seventh birthday, back in 1997) was now in Australia and working as part of The Leda Tape Organization. ‘’ great, we‘re looking for stuff so send it on’’ blah, blah, blah. The manuscript I sent was a novel (not included here) then Simon had the bright idea to do a collection of my writings from the last twenty years. Looking at them all together in NOWHERE SLOW, from the poems, to the novella SEVEN HURTS about William Burroughs and up to PETE’S UNDERPANTS and then back to PSYCHOBOYS, I’m thinking perhaps all the writing is one long book, but I’m not sure and even if I was, I wouldn’t say, anything, definitive. A diablerie of the grotesque scarred from slices of hilariously malicious wit, Bertie Marshall’s work stands on its own four feet, horns and all. Marshall’s work creates an extended promenade of our fragmented contemporary culture in all its amorphousness. Little puddles of thrill in disassociation from one another. …The memoirs take their place in that lineage of ‘outsider memoirs’ including the writings of Quentin Crisp and Jean Genet’s The Thief’s Journal.